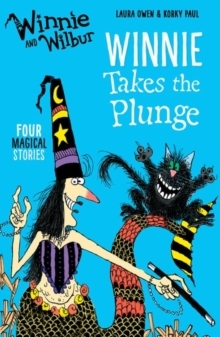 Winnie and Wilbur are not afraid of taking the plunge. In 'Winnie's Mouse Organ' Winnie discovers that the little rodents that share her house have undiscovered musical talents; in 'Winnie's Snowball' Winnie unwittingly turns a snowman into the rather dangerous 'abominable' variety; in 'Winnie's Giant Party' Winnie and Wilbur help get everyone in a party mood; and in 'Winnie Takes the Plunge' Wilbur stages a bold underwater rescueto save Winnie from an evil Merman. 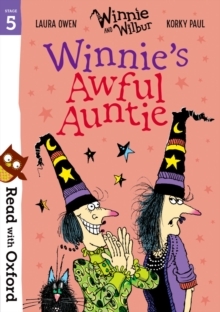 Four hilarious stories featuring Winnie and Wilbur and a zany supporting cast. Korky Paul's exuberant black line illustrations complement the humour, slapstick, and moments of real drama in each story. 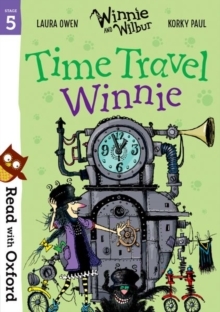 'Funny, mischievous, silly, and exciting. Great stuff.' Giles Andrea, author of Sir Scallywag and the Golden Underpants. 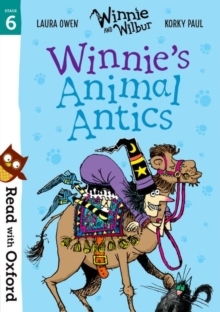 The spellbinding new look of this bestselling series celebrates the wonderful relationship shared by Winnie and her cat, Wilbur. Since 1987 they have been delighting children and adults all over the world and more than 7 million books have been sold. 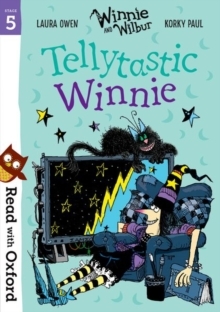 Winnie and Wilbur will be hitting TV screens worldwide in 2017, airing in the UK on Milkshake, Channel 5's popular pre-school slot.